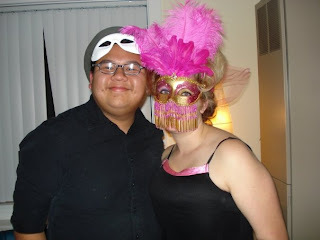 These are some photos that my daughter sent me that were taken during a masquerade party that she and some friends were hosting last weekend. 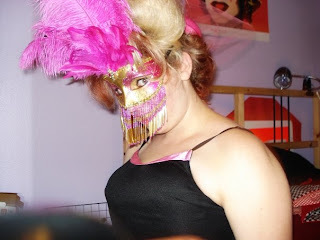 Gorgeous, yes? 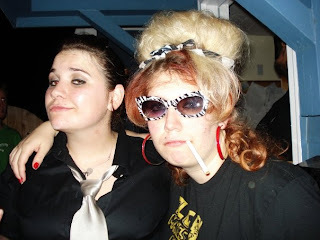 But, apparently later in the evening she ended up getting a beer spilled all over her big bouffant hair do and she ended up morphing into an Amy Winehouse look alike.